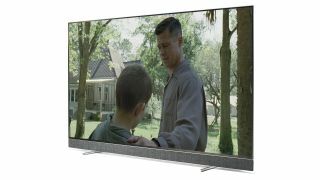 Win a 65in 4K Philips OLED+ 903 TV (and B&W headphones)! | What Hi-Fi? Win a 65in 4K Philips OLED+ 903 TV (and B&W headphones)! How do you fancy a brand new Philips OLED TV complete with integrated sound system from Bowers & Wilkins? Well, here's your chance. There are also B&W headphones up for grabs - the excellent wireless B&W PX headphones, no less - for three runners-up.